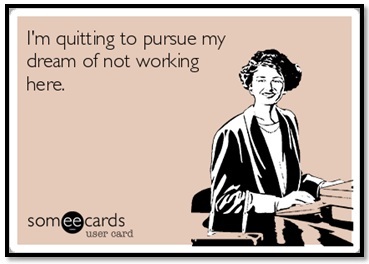 Do you dread going to work? Is getting up every morning to turn up for work seems stressful? Are you uninterested in your work profile? Do you keep excuses in pocket to escape from workplace every now and then? If your answer to all these questions is in positive, you need not visit any doctor. You are absolutely fine and in sane health. 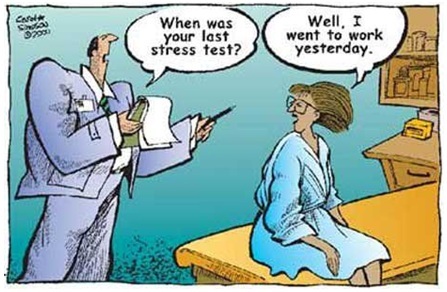 Stress from job burnout is common! Consider these signs as the correct indicators to switch from current job. If you need more affirmation to ascertain whether you are prepared for a big switch or not, take a look at these signs. These five signs will strengthen your doubt into strong belief that you are up for a change. 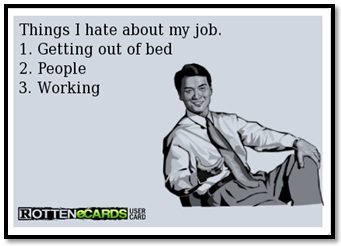 Getting up seems miserable and the very thought of workplace brings chills to you. Pushing the snooze button has become a practise. Be it summers or winters you dislike going to work. You carry ample excuses to escape from work. It simple means that finding job will be more constructive than appearing for work. Gradually you start to feel out of place with the same colleagues or the boss. More than work, people around makes you feel stressed. Their suggestions sound like tantrums or comments that are hard to incorporate in work. You wish to ignore everyone around. Things do not work between you and your manager. Misunderstandings are on the rise and curbing them becomes next to impossible practise. You are stuck in a vicious cycle of explaining yourself to everyone around. Visiting doctor won’t serve the right purpose! He will never be able to diagnose the right cause of your stress. The truth lies beneath your understanding of sticking to an unexciting job. If work-related stress creeps in to affect your physical health, do not take it for granted. The aggravating stress is a slow poison that will accelerate other health disorders such as hypertension, blood sugar and many more. Gradually your personal life will also get affected and it will become difficult to cope up with the expectations of family and friends. Before you life becomes achilles heel. Stagnation is catch 22 situation that accelerates the pace of stress. An individual become worried about career growth and finds it hard to envision personal growth (both in monetary and non-monetary terms) as well. At this juncture, it is important that you find a job where your skills are being tapped. You receive challenging assignments that puts your skills to test. A slight degree of stress is constructive. It keeps one stimulated to achieve results. Instead of being the dead man walking in the workplace, choose your path and make change before anyone else force you to do it. Job switching is another challenging task but before you hit rock bottom in life, set goals for your growth. Pen down expectations from the new job in accord with your skills and abilities. Streamline your job search on those lines. Create a realistic timeline to grab hold of another opportunity and weigh pros and cons of the next job. Wishing you happy job switching! Share this article with your dear ones who are willing to change the job but are in a quandary! Help them identify the signs of job switching and bring a wave of happiness in their life. You can also subscribe with us to get remarkable tips on managing personal life while pursuing career aspirations.